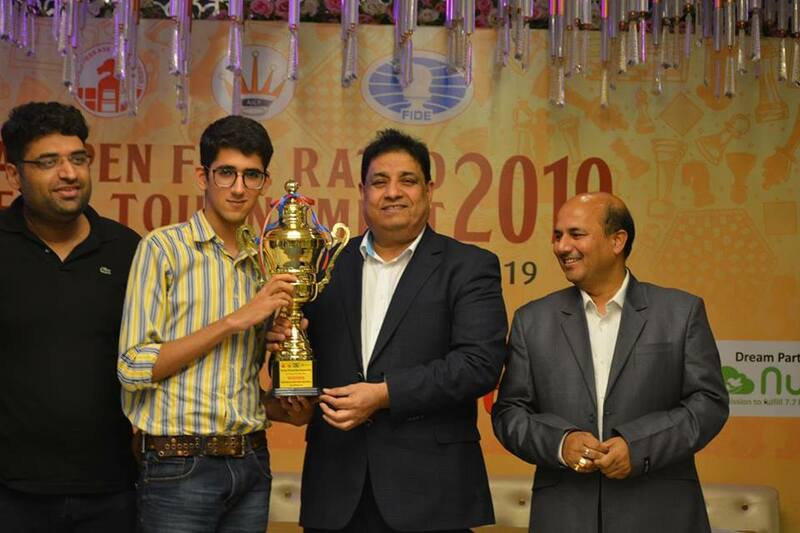 International Master Vardaan Nagpal scored 8/9 points to clinch the DCA Open FIDE Rated Tournament which was held between March 23-27 at Hotel Caspia, New Delhi. 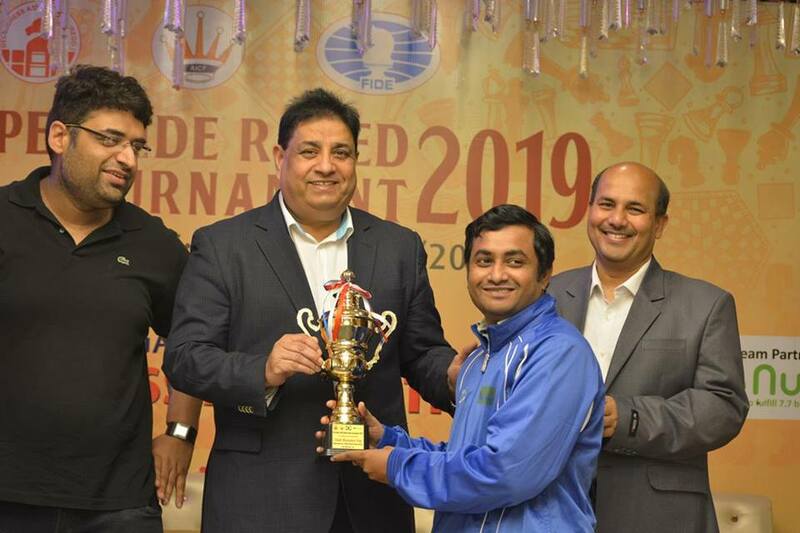 A total number of 641 players which includes ten International Masters and 532 International rated players from different parts of India and four foreign federations have participated in the event which was spread over five days with a time control of 90 minutes and 30 seconds increment from move 1. The total prize fund of the event was Rs.18,18,000. 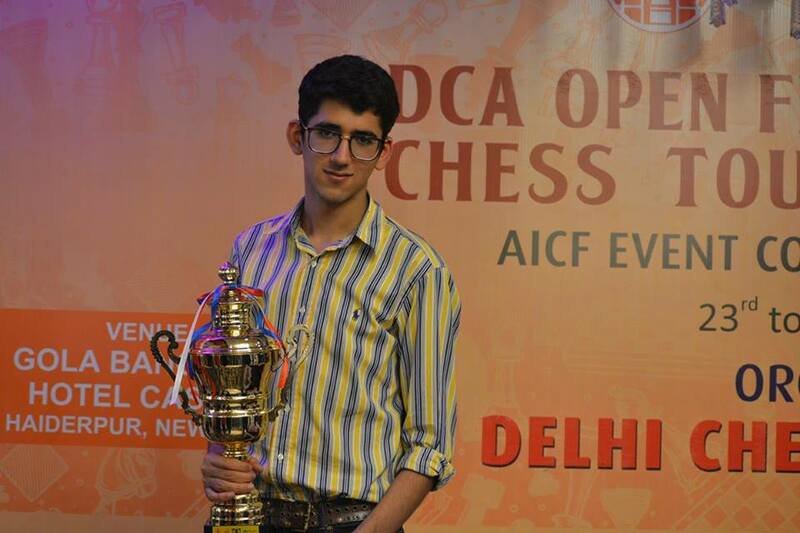 The 16-year-old from Delhi nudged three others on tiebreak to clinch the event. Bharat Kumar Reddy receiving the prize. FM Matta Vinay Kumar secured the second runner up trophy along with Rs. 50,000/- cash prize while Rishi Sardana of Australia was placed on the fourth spot. In a colorful closing ceremony, Shri. 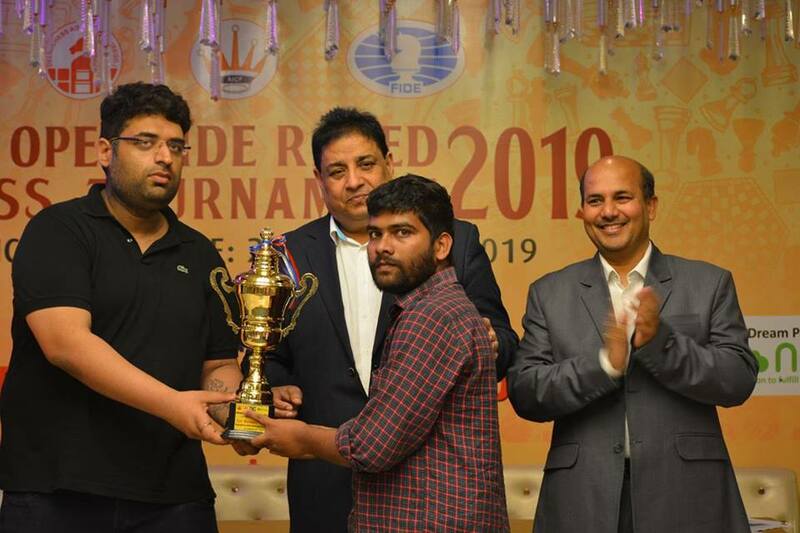 Bharat Singh, Secretary All India Chess Federation gave away the cash prizes and trophies to the winners along with Shri. 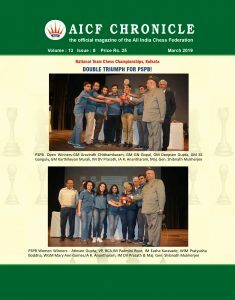 AK Verma, Secretary Delhi Chess Association, Shri. Prateek Khanna and Parth Narang of Nurtr Group.